Today I am in the industrial area, but I am showing you another item for 6th Republic. This is KraftWorks's Vienna Warehouse and it is a beauty. Gorgeous brick exterior with loads of windows which let in plenty of light. The roller doors at the front can be raised and lowered and there are roller doors at the rear too. The build also has lighting along the centre beam. 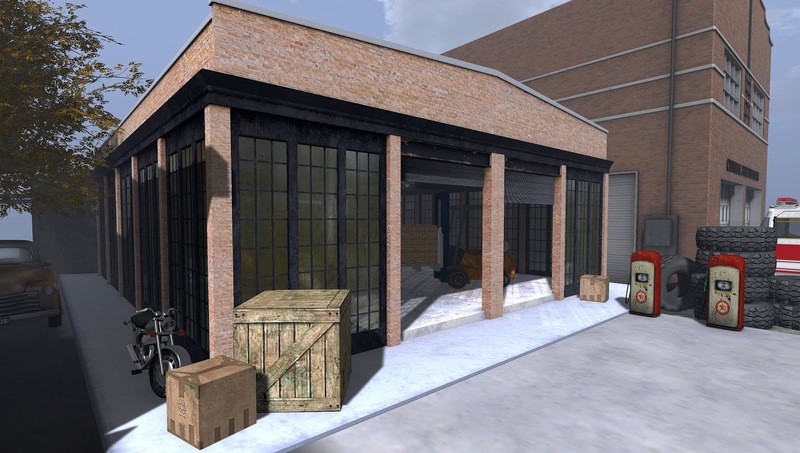 This build would make a great store as it has plenty of space, but it would also give your sim an authentic look if you are wanting an industrial area. 6th Republic opens on the 6th. Note: Fire Station is also from KraftWork. Accessories not included with Warehouse.